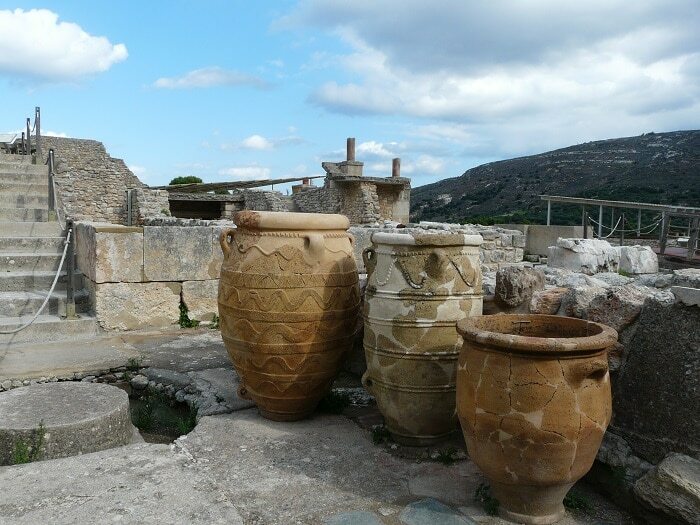 The visit of the archaeological site Knossos near Heraklion is a journey, a few hours’ escape from reality, an awesome following in the footsteps of kings and sages. As soon as you pass the ticket control, you enter an 8000 year old site which had been continuously inhabited, the fact of which is actually hardly to grasp. 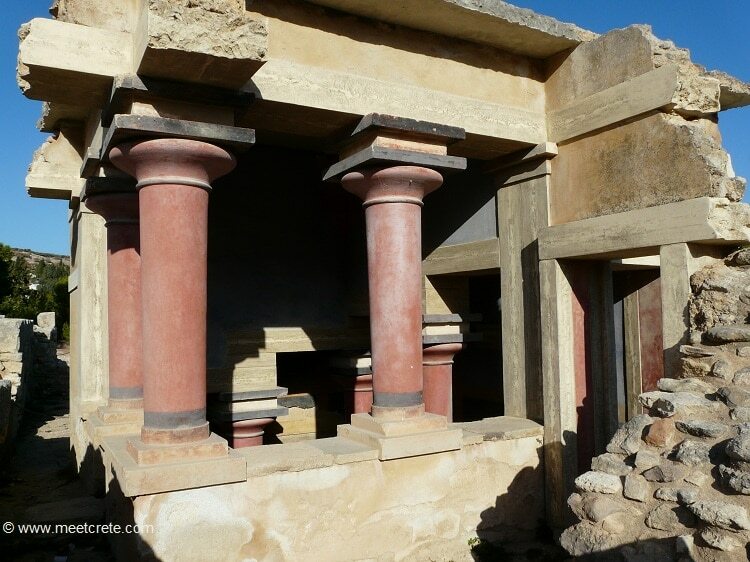 Knossos is the site of the most important and better known palace of Minoan civilization. 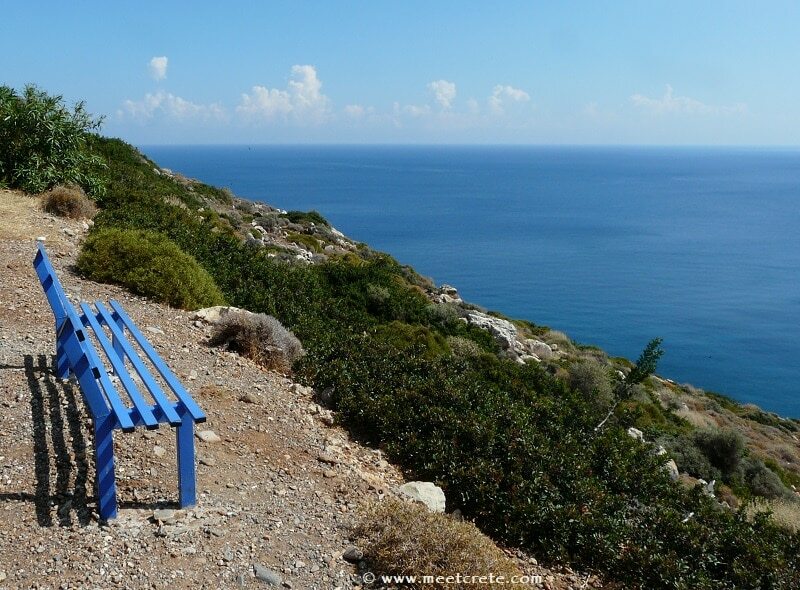 According to tradition, it was the seat of the legendary King Minos. 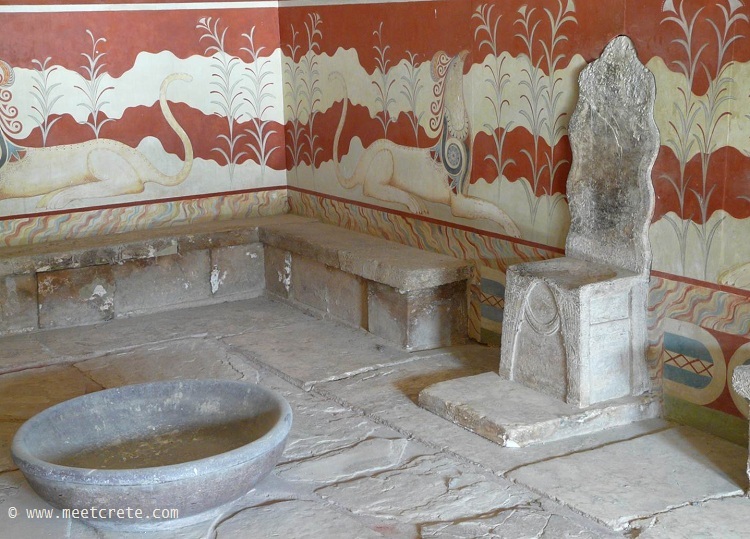 The Minoan Palace is also connected with thrilling legends, such as the myth of the Labyrinth with the Minotaur, and the story of Daidalos and Icaros. 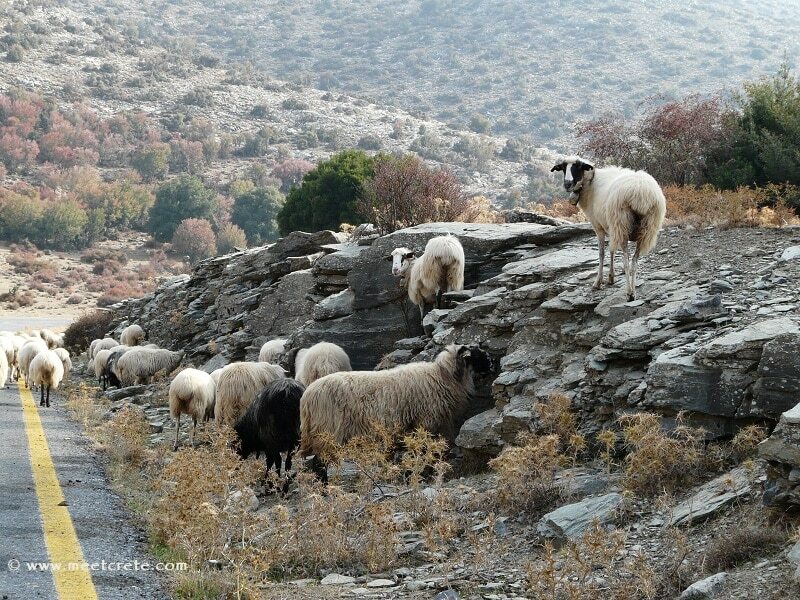 The site was continuously inhabited from the Neolithic period (7000-3000 B.C.) until Roman times. The Linear B tablets (Mycenaean script) of the 14th century B.C. mention the city as ko-no-so. 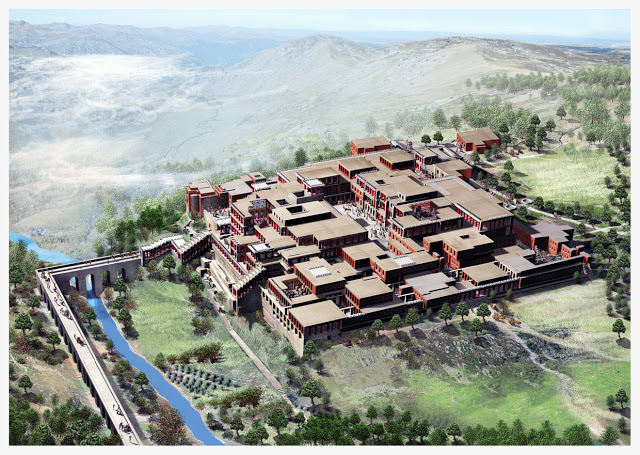 Intensive habitation occurred mostly in the Minoan period, when the so-called first (19th-17th centuries B.C.) 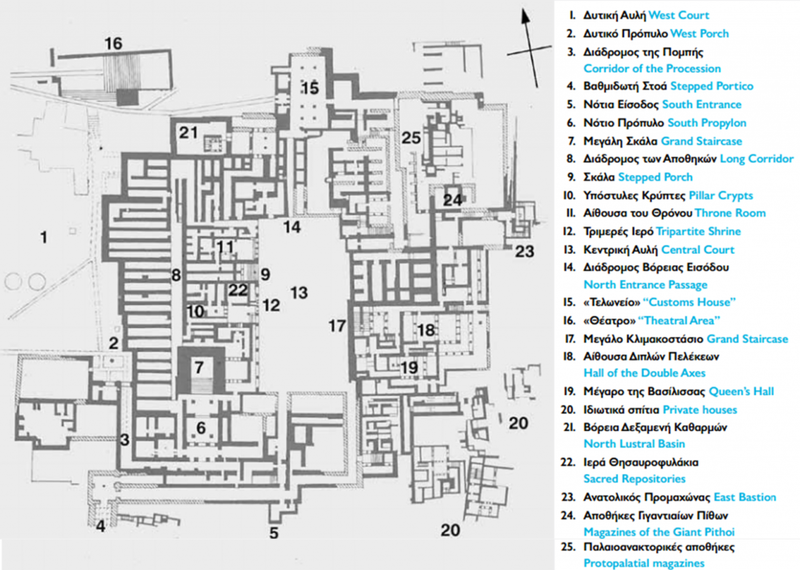 and second palaces (16th-14th centuries B.C.) 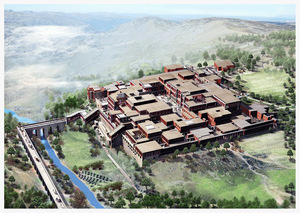 were built along with luxurious houses, a hospice and various other structures. 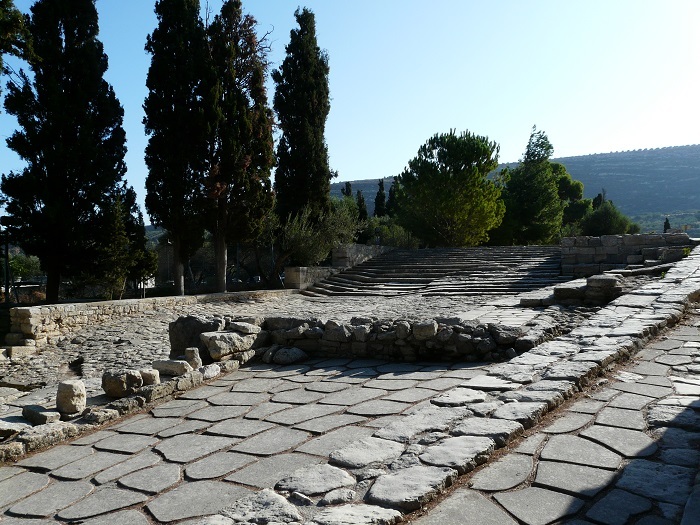 After its partial destruction in 1450 B.C., Knossos was settled by Mycenaeans from the Greek Mainland. The city flourished again during the Hellenistic period (sanctuaries of Glaukos, Demeter, other sanctuaries, chamber tombs, north cemetery, defensive towers) and in 67 B.C. it was captured by the Roman Quintus Caecilius Metelus Creticus. 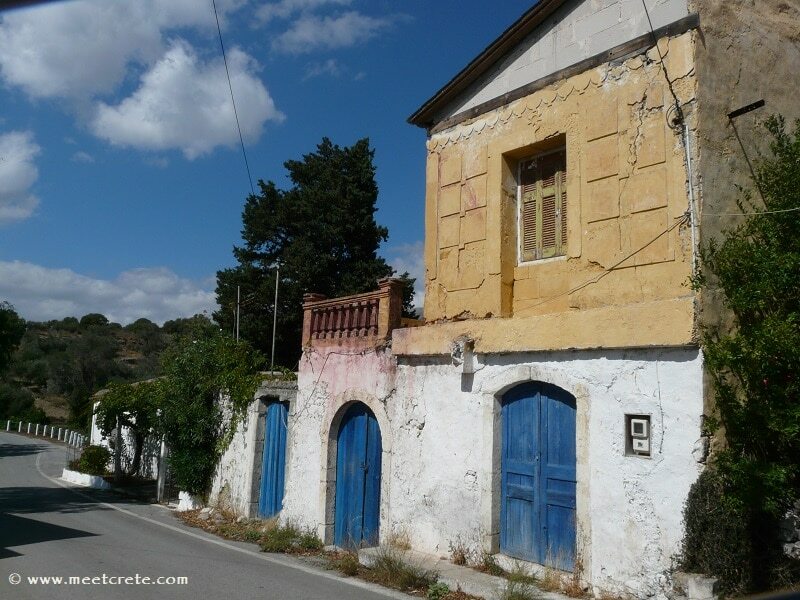 The “Villa of Dionysos”, a private house with splendid mosaics was built in the same period. 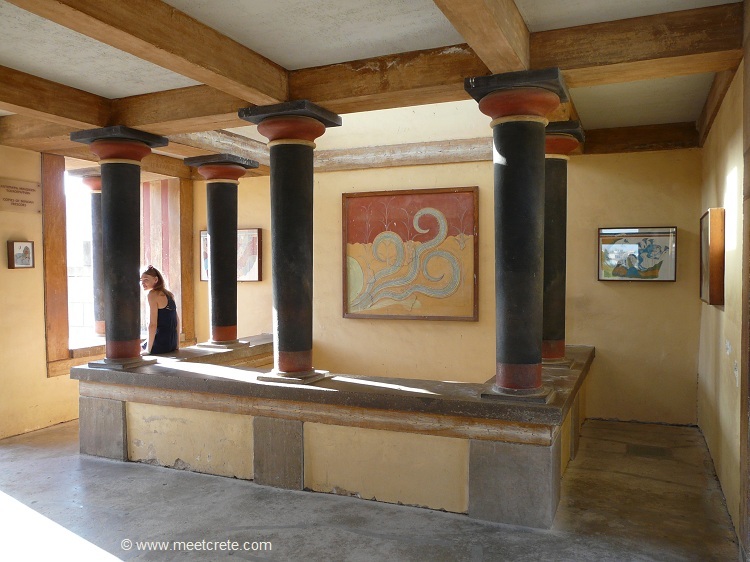 The Minoan Palace Knossos was discovered in 1878 by Minos Kalokairinos. 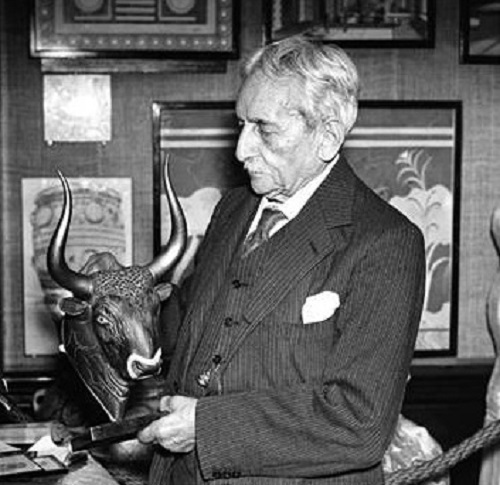 Sir Arthur Evans conducted systematic excavations at the site between 1900 and 1931, bringing to light the palace, a large section of the Minoan city, and the cemeteries. 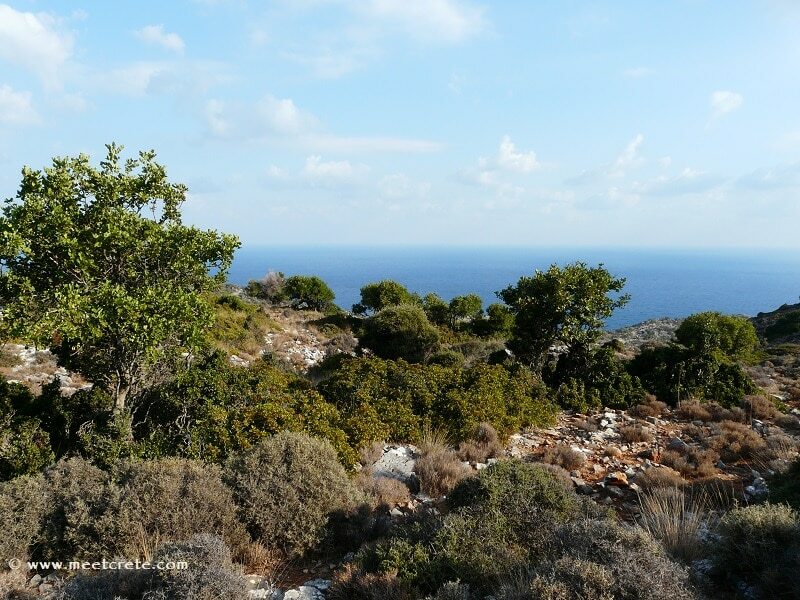 Since then, the site and the surrounding area have been excavated by the British School of Archaeology at Athens and the 23rd E.P.C.A. The advanced level of technology attained by the Minoans is also demonstrated by some original architectural and structural features, such as the light-wells and polythyra, the use of beams to reinforce the masonry, and the complex drainage and water-supply systems. The palace is set around a large Central Court, an area used for public meetings. A second courtyard, the West Court, acted both as the official approach to the palace and a ceremonial area. The west wing was occupied by the official rooms for administrative and religious activities, including the Tripartite Shrine, the Sacred Repositories and the Pillar Crypts. The Throne Room is outstanding amongst them, with its lustral basin and the alabaster throne flanked by benches. The most important areas in the south wing are the South Propylon, the Corridor of the Procession and the South Entrance, with the fresco of the Prince of the Lilies. The east wing contained the residential quarters and large reception rooms, the most important being the Hall of the Double Axes and the Queen’s Hall. These rooms are approached by the imposing Grand Staircase. Around the palace extended the Minoan settlement, with the cemeteries on the hills. Important buildings from this same period include: the South House, the House of the Chancel Screen, the Small Palace, the Caravanserai, the Royal Villa and the Temple-Tomb. The Villa Dionysos with its floor mosaics (2nd c. AD) is an important building of the Roman period. The numerous finds from the palace, all of exceptionally high quality art, pottery, vessels, figurines, the archive of Linear B tablets, and the original wall-paintings, are all housed in the The Archaeological Museum Heraklion – Museum par excellence. 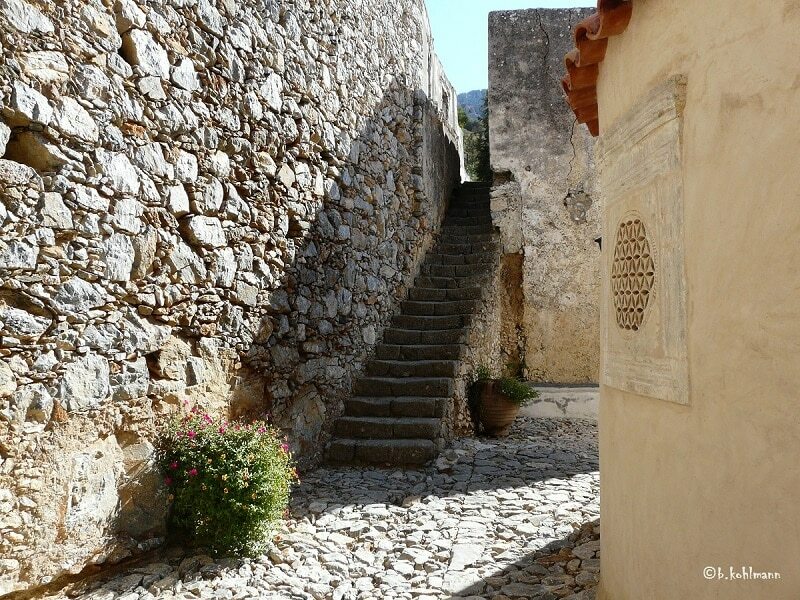 The archaeological site is great to reach by bus from Heraklion. Travel times all 20 min., Ticket price 1,50 € single trip. Ride Heraklion-Knossos: Departure from KTEL bus station on the harbor, next stop in front of the Astoria Hotel at Eleftheria Square. 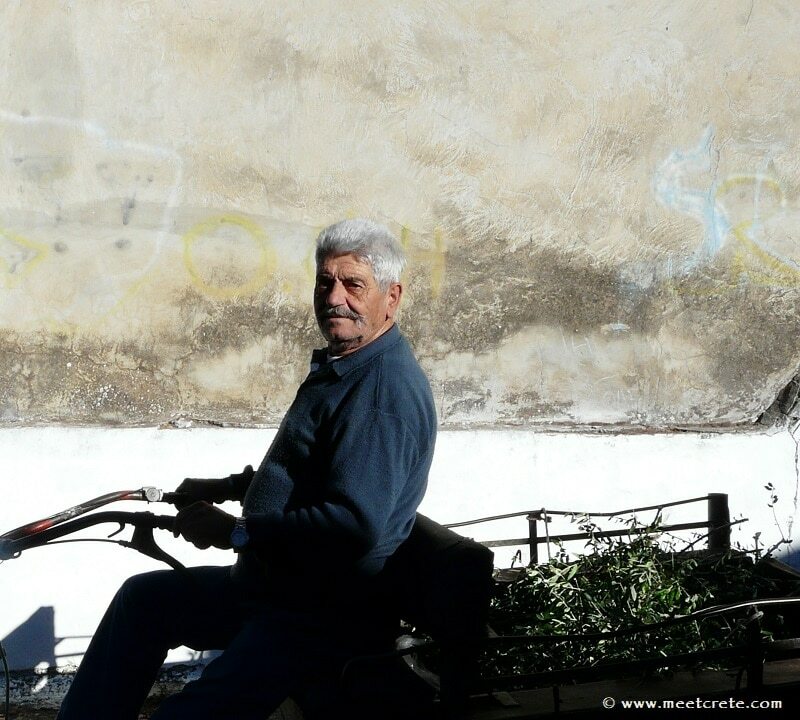 Ride Knossos-Heraklion: Departures directly in front of the archaeological site to the main road, the bus stops again at the Eleftheria square in Heraklion and then moves down to the harbor. 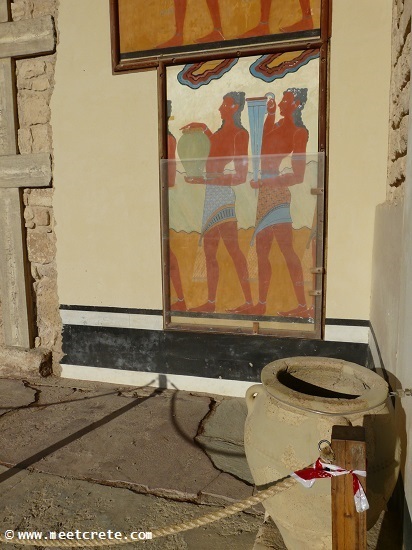 The earlier in the day you enter Knossos, the better. At 10.00 hrs latest, the cruise tour buses and others are stopping outside of the entrance with hundreds of visitors.